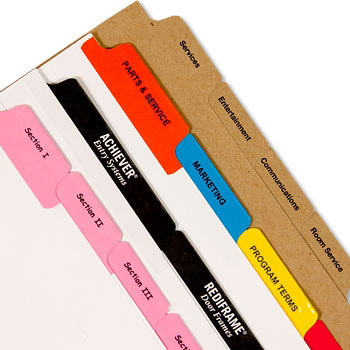 Order your tabs as stand alone items or coordinate them with your binder and folder package. Either way, tabs deliver great impact for minimal investment! Choose your Sheet Size: Standard, 11×8.5, Mini, 8.5×5.5, A4 Euro sheet or custom sizes. White index is the most economical way to deliver high impact packages. Also choose from ivory or pastel stocks. 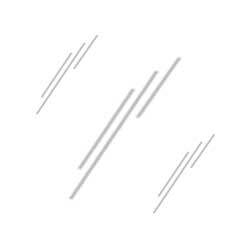 Poly materials create weather resistant surfaces. 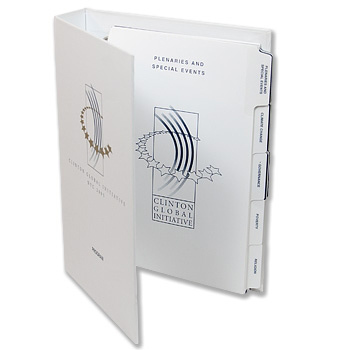 Standard pricing is based upon black ink, but we can also customize with your own PMS ink color or full color printing. 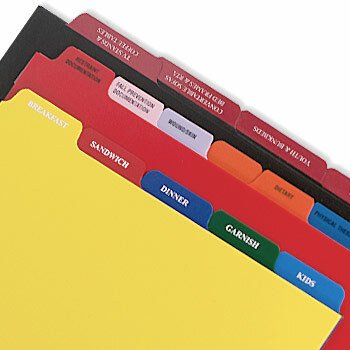 COPIER tabs are shipped blank so that you can put through your own equipment. Reverse collate available. How many per set? As many as you need! Generally we recommend a max of 12 tabs per bank, but you can have as many banks as you like. Our design team can help with special layouts.